Always happy to hear from emerging artists, I've been looking forward to sharing with you Aparna Gupta's university project ever since she wrote to introduce herself a few months back. 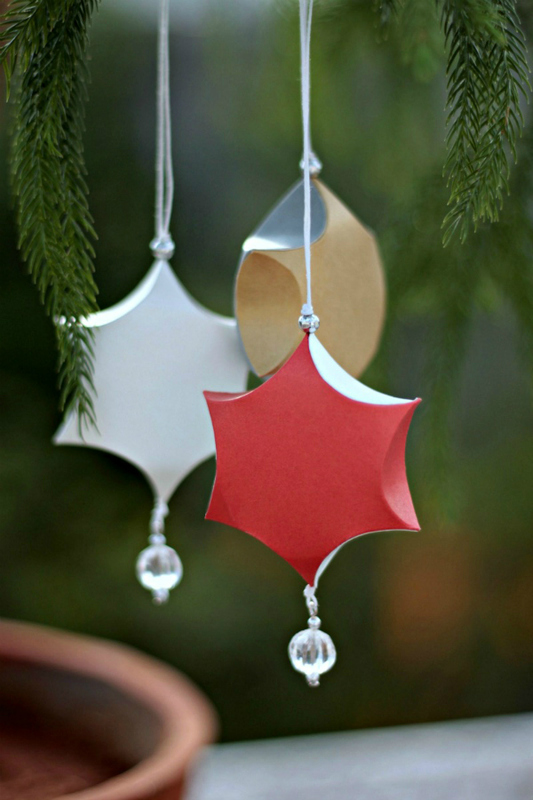 It seemed more timely to wait until autumn to post this collection of ornaments even though their uniquely elegant shapes make them suitable for year-round display, not only at Christmas time. Aparna is a recent graduate of National Institute of Fashion Technology in Bangalore, India. 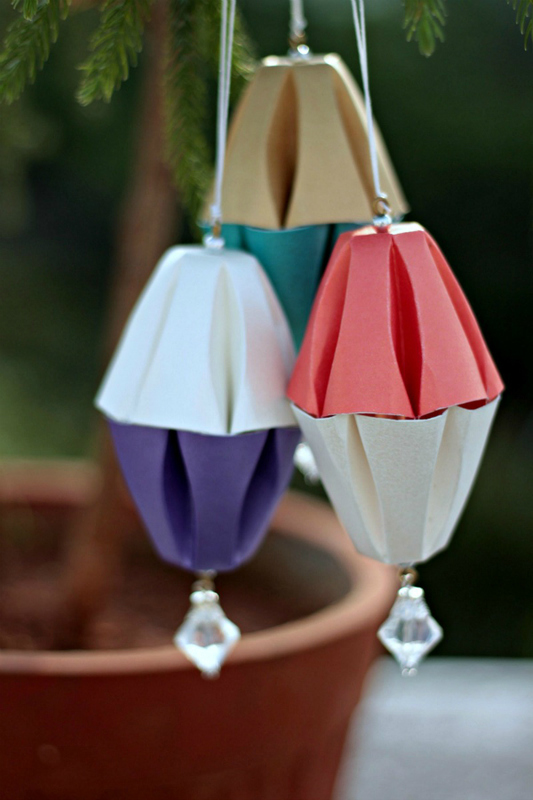 These paper ornaments were her final project, designed during a four-month internship with Inmark Exports in Greater Noida, India. 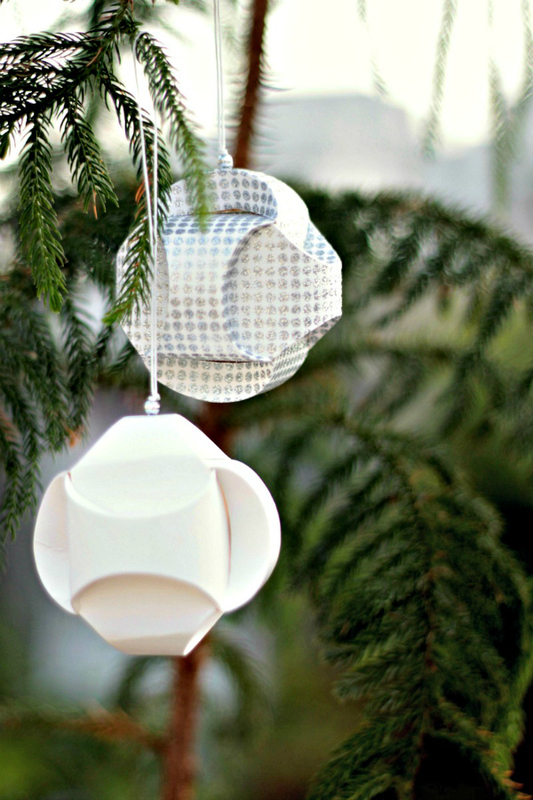 Focusing on shapes that can be used for general occasions rather than Christmas specifically, she set out to create new ones, abstract in their own way, but derived from organic structures. Aparna first created an inspiration board consisting of images from nature that evoke a sense of warmth and happiness. 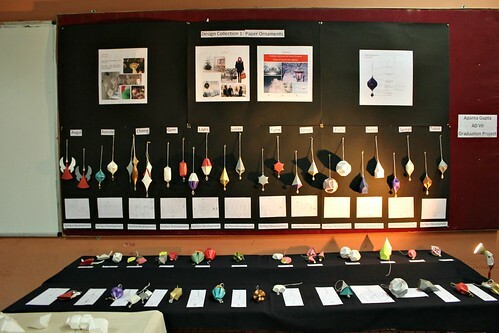 Curved fold models by Dr. David Huffman provided focus as Aparna set out to create a selection of ornaments from 230gsm metallic paper. Curved crease folding best reflected the mood board images and gave her a competitive advantage in that it was a new technique for the company. Another strong positive was that her designs could be mass produced by machine. A time-consuming experimental process decided the final shapes. It consisted of selecting a form from sketches, making a mock-up, and lastly, creating samples. 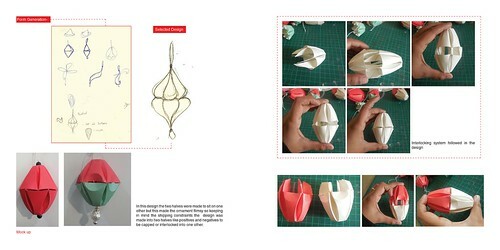 Each step examined the structure of an ornament from a design point of view, as well as production. Aparna is currently working with Inmark as a Product Designer, and is always on the lookout for collaborative opportunities in India and abroad. She can be reached via Behance. What a dream career! Love the quiet elegance of her work and that of Dr Huffman! I wish my brain worked like that. Thanks for showcasing their work Ann. 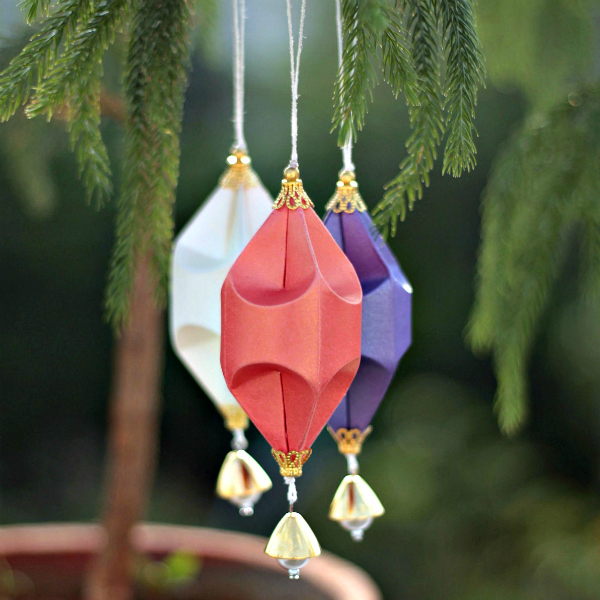 So glad you all enjoyed seeing Aparna's ornaments! They all look so sweet!! The firm folded curves and how the two halves interlock is amazing!! I agree Suganthi, lots of thought and experimentation behind the designs! Fabulous work and hope one day we might get a tutorial . 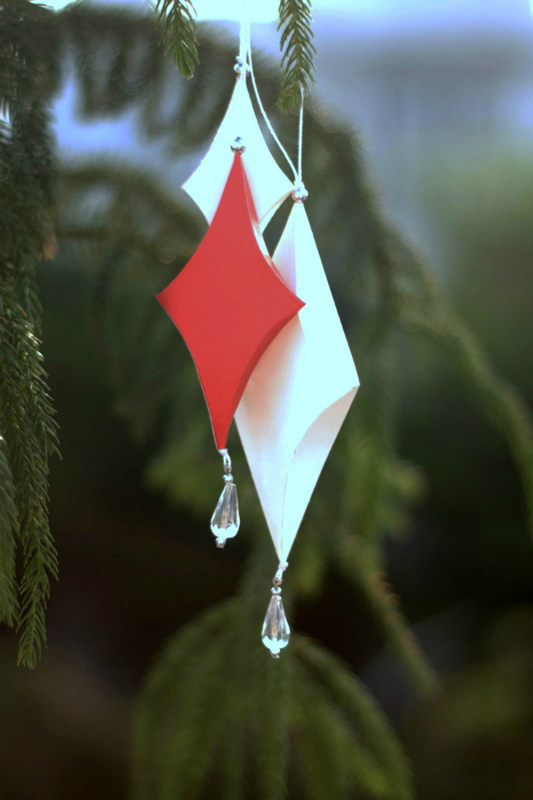 She has inspired me to try to take my paper crafts to another level . So glad you're inspired, suebow! These are beautiful & elegant in their simplicity! Where can I order the kits? There are no kits that I'm aware of, Anon. Inmark is a wholesale supplier. These are lovely, as are many of the items on your site! 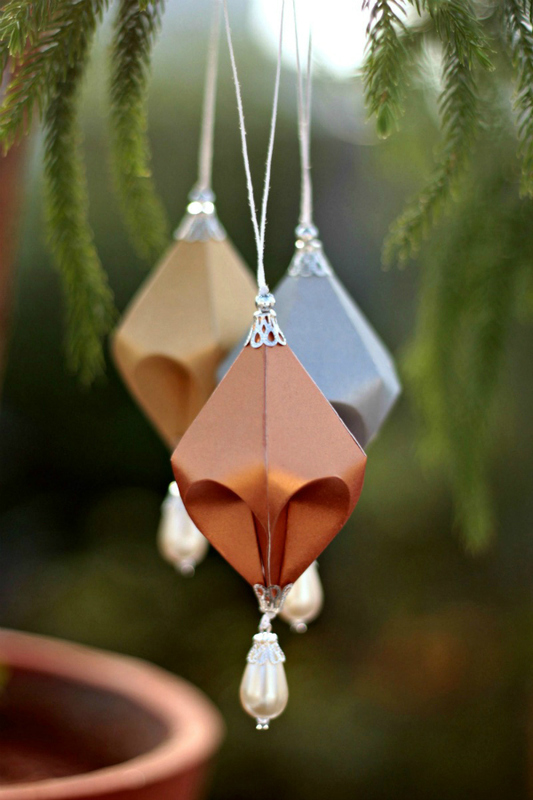 Where can I find this metallic paper that folds so nicely? I find that a lot of scrapbook cardstock paper does not fold well, but I often needs something just a little sturdier than regular paper. Besides Castle in the Air, what other paper companies do you recommend? 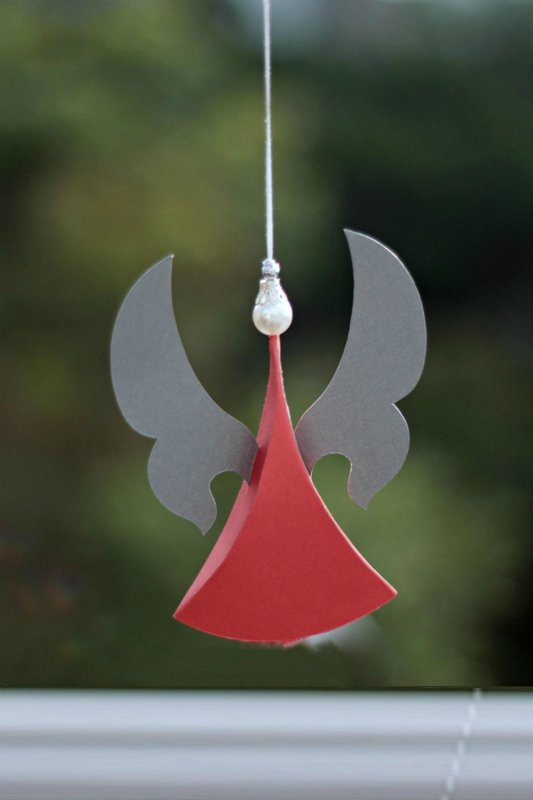 Nancy, some online quilling suppliers sell metallic sculpture paper sheets that are very nice quality. Email me if you wish (ann.b.martin@gmail.com) and meanwhile I'll hunt around to see who currently carries the kind I've used.